The O.A.S. Secretary General, while in Belize City this morning, also made a brief visit to Independence Hall where he called on Leader of the Opposition John Briceño. Briceño we are told, did not know of the meeting in Guatemala between the foreign ministers, but he was reassured that the O.A.S. will continue to remain impartial in facilitating the dialogue between Belize and Guatemala, in the face of growing skepticism. 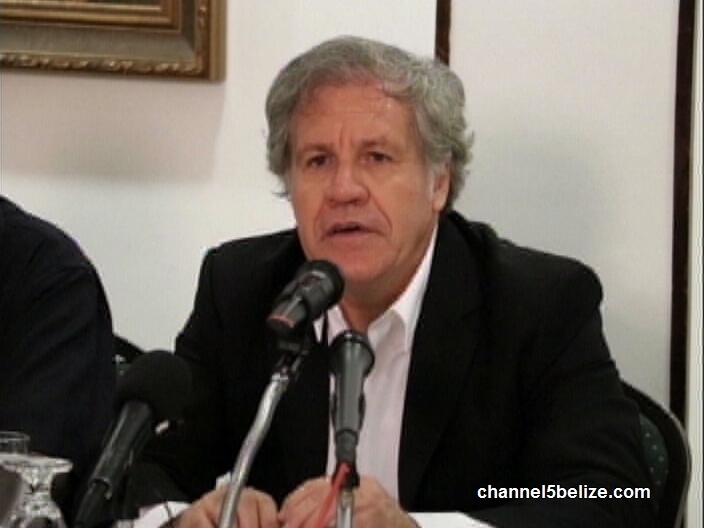 Luis Almagro, Secretary General, O.A.S. Where goes the national debt? Where is Gaspar Vega? Not at House!